On December 10, rebel leader Paluku Hilaire Kombi, commander of roughly 280 rebel troops, surrendered to the Congolese army. He reportedly turned himself in, along with five officers to the Congolese army in the village of Mbwavinywa in southern Lubero territory, North Kivu. Earlier on November 26, Governor of North Kivu Julien Paluku urged him and other groups in Beni and Lubero territories to give up on their insurgent activities. This stunning development is part of a larger defection trend that escalated after the army, along with the United Nations Force Intervention Brigade, defeated the M23 rebel group in early November. While this is a very promising trend, the U.S. and U.N. Special Envoys Russ Feingold and Mary Robinson should quickly urge the Congolese government to act now to implement a new robust demobilization, disarmament, and reintegration, or DDR, program. Without this more robust program, the trend is at risk of reversing. After operating in Congo for more than a decade, the U.N. peacekeeping mission, MONUSCO, has taken on a more vigorous mandate. Following a decision in March 2013 by the Security Council, the U.N. tasked the Force Intervention Brigade with carrying out targeted operations to neutralize armed groups and contribute to civilian security and political stability. November 14, Maï-Maï Totye surrendered in Manono territory, Katanga province. On November 19, elements of several groups such as APCLS, APCLS Bord du Lac, and Nyatura factions including FDDH, MPA, as well as FODP handed in their weapons in Bweremana, 54 km southwest of the provincial capital of Goma. On November 20, Raïa Mukombozi offered to surrender. On November 22, 60 combatants of the Raïa Mutomboki faction led by Foka gave up in Chulwe, Kabare territory. On November 24, the mayor of Beni city in North Kivu province announced the surrender of Maï-Maï Kavawaseli and Maï-Maï Jean-Marie. On November 24, elements of FDP led by Mai-Mai Shetani and FDLR capitulated in Kibuko, Lubero territory. On November 25, MRP surrendered in Kibua, Walikale territory. On November 26, FDP led by Shetani together with its ally FDIPC surrendered in Kiwanja, Rutshuru territory. On November 27, the armed group NDC led by the infamous Ntabo Ntamberi Sheka vacated its former stronghold of Pinga and is now reported to be in the gold village of Angowa, Walikale territory. On the same day, FDC-Guides surrendered in Kiteya, Walikale territory. Maï-Maï Lafontaine is currently negotiating his surrender with the Congolese army. During a speech in Goma on November 29, President Joseph Kabila asserted that over 4,000 rebels have already entered demobilization camps in eastern Congo. In contrast, on December 13, the U.N. peacekeeping chief Herve Ladsous said some 2,300 rebels had surrendered their weapons in the past two months or so. In other developments, the rebel group ADF-NALU is also reportedly fleeing from locations in Beni territory towards Orientale Province since early December. 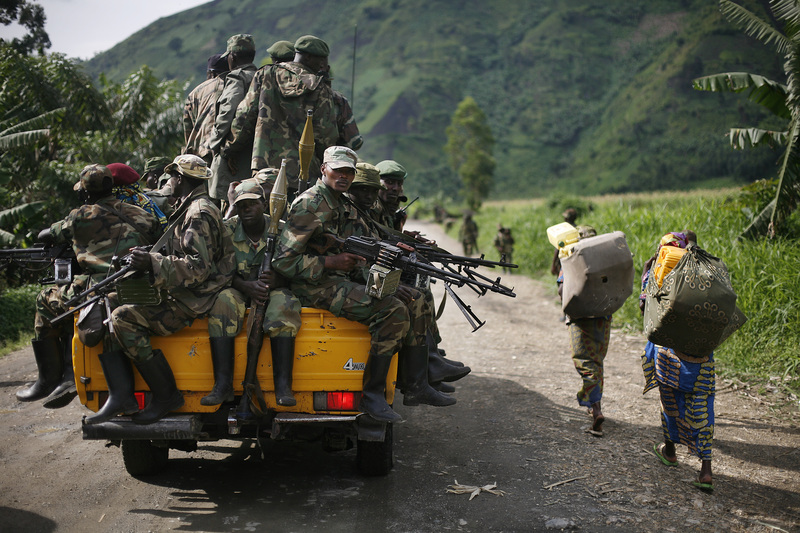 But while on the run, the group allegedly slaughtered 21 civilians including women and children in the village of Musuku in Rwenzori, Beni Territory, North Kivu. Meanwhile, on December 8, MONUSCO stepped up its pressure on armed groups, offering rebel groups present in Ituri the chance to surrender. The groups include Cobra Matata’s FRPI, Morgan’s Maï-Maï Simba, FLPC, and the Ugandan Islamist group, the ADF. A day later, five officers of the rebel group MAC conceded in Walikale. On the same day, MONUSCO launched its first operations against the FDLR in Masisi and Walikale territories. Meanwhile, on December 10, the Governments of Congo and Burundi pledged to strengthen their efforts to neutralize the rebel group FNL. The surrender of Hilaire Kombi and the pledge of other rebel groups to lay down their arms is a promising development. However, it must be accompanied by a robust and better designed DDR program from the Congolese government. While the Government of Congo announced a new plan in late November, it has yet to be publicized and operationalized (for earlier concept papers, see here and here; MONUSCO had urged the government to finish its plan earlier on November 13). Any DDR program must offer long-term support for ex-combatants and their home communities, real security guarantees, and sustainable livelihood alternatives without inducing others to join rebel groups to reap the DDR benefits. After a two-week visit in Goma, DRC’s defense minister Luba Ntambo highlighted on December 4 the lack of funding and logistics. “Old DDR programs have benefited substantially from U.N. support, and this one won’t be an exception,” he told reporters. “There are still some issues [re: implementation and financial management] between GoDRC and MONUSCO that we need to settle,” he added. To reiterate, the recent surrenders are a very positive development but if the Congolese government together with international partners including MONUSCO do not act swiftly and put in place a robust DDR plan, the momentum might wane so quickly. For more on armed groups, see Enough Project’s table detailing 28 armed groups and reports by the Rift Valley Institute. In addition, PhD student Christoph Vogel provides a comprehensive map of armed groups.